I grew up in New England. New York City, with all its bustling excitement, was about three hours away. We took several school fieldtrips there. My family would also visit my grandfather—a retired professor at Columbia, who still lived a few steps from that venerable institution. Twelve years ago this week, the unthinkable happened in the city I love to visit. It hurts to watch destruction and carnage anywhere, but this was particularly painful because it was a place I had visited (I had been to the top of the World several times), so I could imagine everything as it happened. The terrible loss of life and emotions of that day and those following will be forever writ on my heart and that of everyone who experienced that awful day. Yesterday, the anniversary of that horrible day, there were plenty of memorials to those tragic events. But I don’t want to revisit that in this blog. I want to celebrate New York City and what I love about it—then and now. 1. Theatre. I have vivid memories of seeing shows with my school and my family. We saw plays, we saw musicals, and we saw ballet. I can still recall the thrill and awe of the 40-foot Christmas tree rising from below the state at Lincoln Center during George Balanchine’s The Nutcracker. 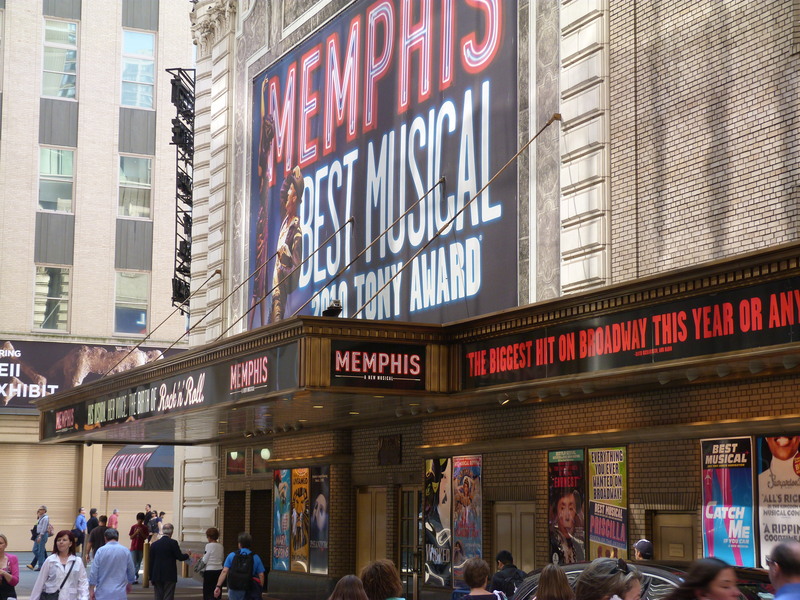 It was one of my first theater-going experiences and the pageantry thrilled my seven-year-old heart. How did they get that huge tree to grow in the theatre? It was magic. It still is. 3. Standing in history’s shadow. New York was the nation’s first capitol. 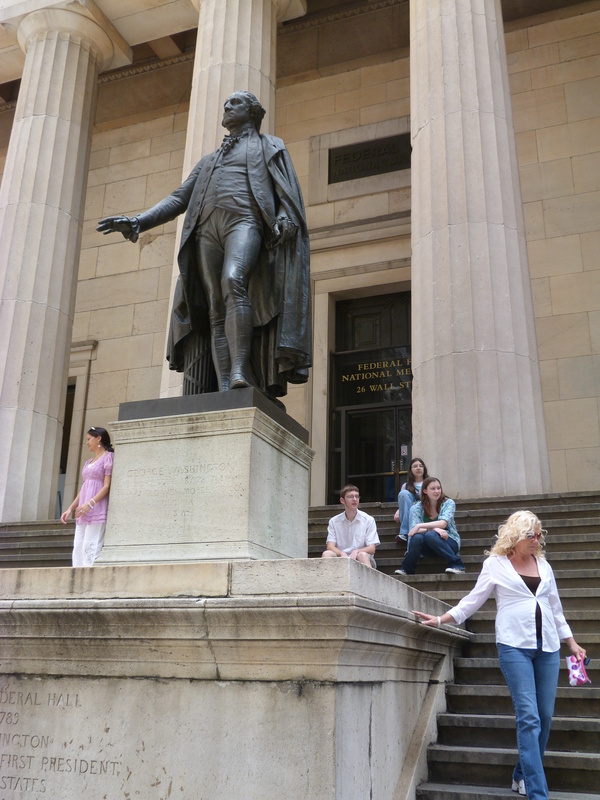 George Washington was inaugurated on the balcony of Federal Hall on Wall Street in 1789. You can stand where he stood, and I have! 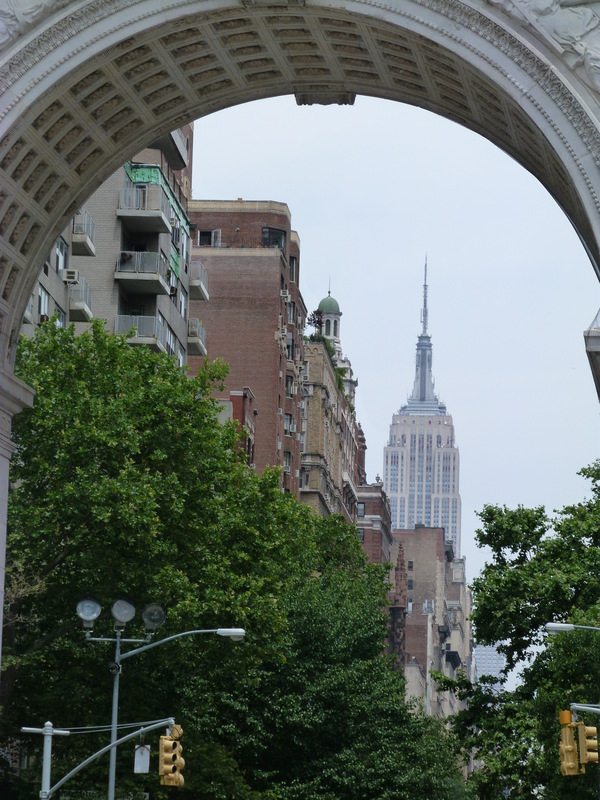 If you’re a history buff, you can totally get your geek on just walking down the street in Manhattan—from the architecturally significant buildings to the ethnic neighborhoods that tell the story of the American immigrant to the literary pilgrimage spots. New York has history in spades. 4. The Empire State Building. One of those architecturally significant buildings was completed in 1931, and for 40 years the art deco building was the world’s tallest at 102 stories (1250 feet, not including the spire antenna). 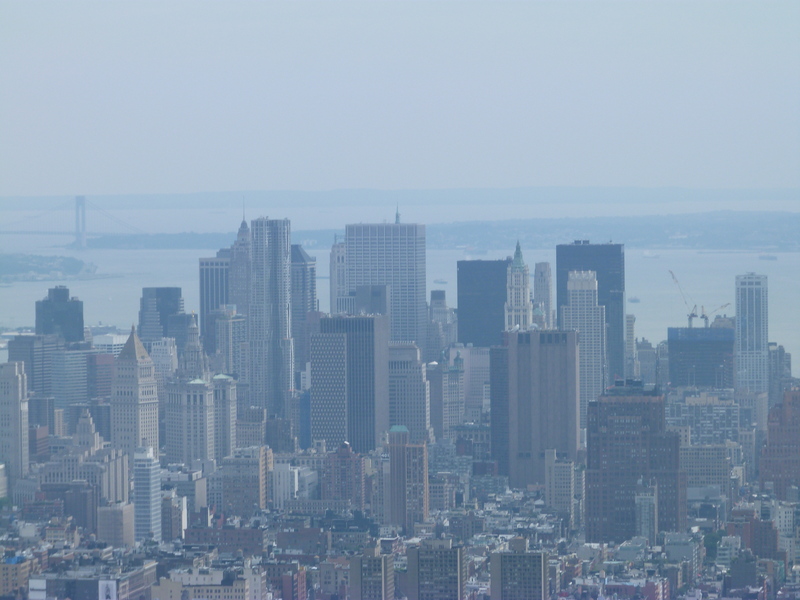 With observation decks on both the 86th and 102nd floors, you can see all of New York City laid out below you, and on a really clear day, you can see almost 80 miles in every direction—giving you a glimpse of Massachusetts, Connecticut, New Jersey, and Pennsylvania as well. History, architecture, and a really great view. What more could you ask? 5. The Staten Island Ferry. It’s free! In a city where it costs $8.50 to get a small soda (okay, slight exaggeration), free is a miracle. Save your money and skip a harbor cruise; be a real New Yorker and try the ferry. 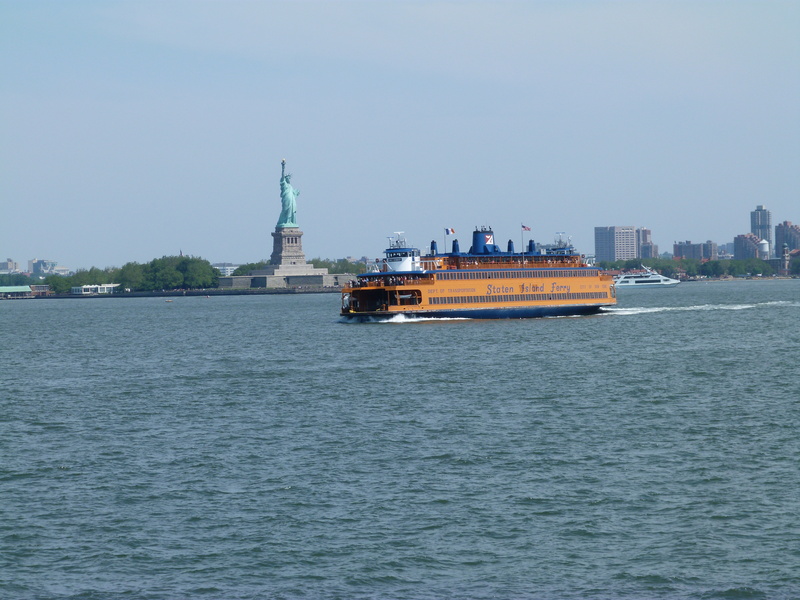 The Staten Island Ferry makes over 100 trips a day during the work week (and around 70 a day on the weekends). The five mile, 25-minute (each way) trip offers a respite from the jostling crowds and some of the best views in New York: the famed New York Skyline, Ellis Island, and the Statue of Liberty. 6. Ellis Island. A recent addition to my New York favorites, we took the kids a couple of years ago. We were on what I like to call the Great AP US History (APUSH) Tour of the East Coast. I could easily imagine the nervous immigrants treading the stairs in the Great Hall. Some of my ancestors came through the earlier immigration station, Castle Garden, but I guess the feelings and emotions were the same. Freedom. A chance for a better life. The welcome of Lady Liberty’s raised lamp (Ellis Island opened in 1892, and the Statue of Liberty was dedicated in 1886. ), which offer the promise of light and hope for the future, is still a powerful symbol today. The Ellis Island Immigration Museum is an excellent chance to recall where we came from and to reflect on where we want to go. 7. The food. When I was a kid, I loved it when my parents would buy us pretzels from the food carts. I grew up in a street-vendorless college town, so buying food off the street was an exotic experience. Then there were the restaurants: My first glass of red wine was in an Italian restaurant in Little Italy, which was also as my introduction to the antipasto platter. There was prosciutto and unusual cheeses from Zabar’s on the Upper West Side, which was my grandfather’s favorite; the smell of coffee from Chock Full O Nuts, where my dad liked to grab a cup of coffee and a snack; there were deli’s with stacks of meat on fresh rye bread—like at the Second Avenue Deli (which is no longer on Second Avenue!) where we took the kids on the Great APUSH Tour—and there was the fabulous New York pizza. (Note to the so-called NY-style pizza place locally: you’re doing it wrong.) So much good food and so many great memories of sharing it with family and friends! 8. The rhythm of New York. People moved quicker. They talked quicker. They seemed to live quicker. The pace of the town I grew up in was sleepy, so it was eye-opening—and exhilarating—to adjust to the pace of New York. As it turns out, I’m more of a college-town girl, but I still enjoy the periodic foray into an urban playground. 9. The subway. The subway is an awesome tool for an aspiring writer. There are hundreds of people riding with you. Where are they going? What are their stories? Are they happy or sad? Tourist or native? Worker bee or boss? How do they talk, interact, live? The possibilities are endless, the stories infinite. Oh, and it’s also pretty dang fun to practice subway surfing. Look, Ma! No hands! 10. Everything else. It’s impossible to list only ten great things about New York—the resilient people, the fabulous Central Park, the skating at Rockefeller Center, the Christmas decorations, the movie locations, the collective knowledge of the universities, the parades, .… I’m so glad to have some small ties to this iconic city. Rock on New York. I’m delighted you’re there. 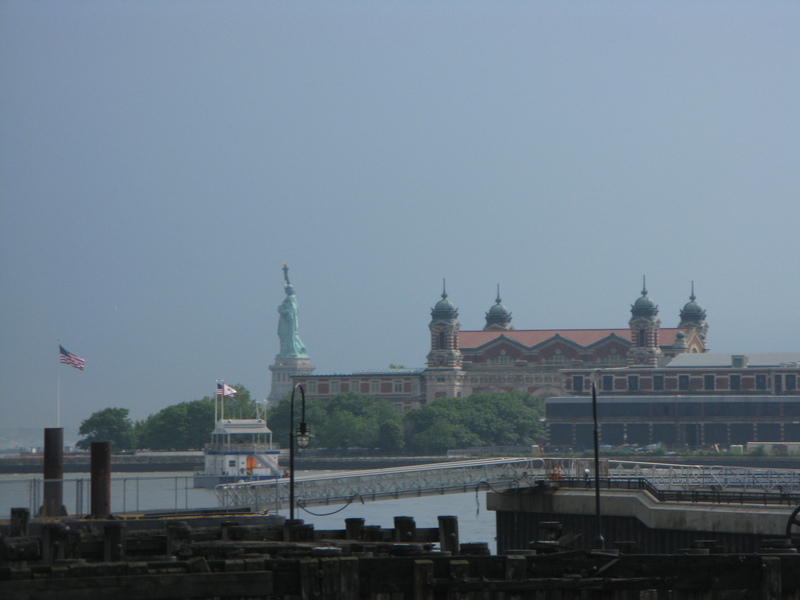 Ellis Island: You can look up your immigrant ancestors on this site if they came through Ellis Island. Empire State Building: My advice: skip the flight simulator tour. The real attraction is the real view.